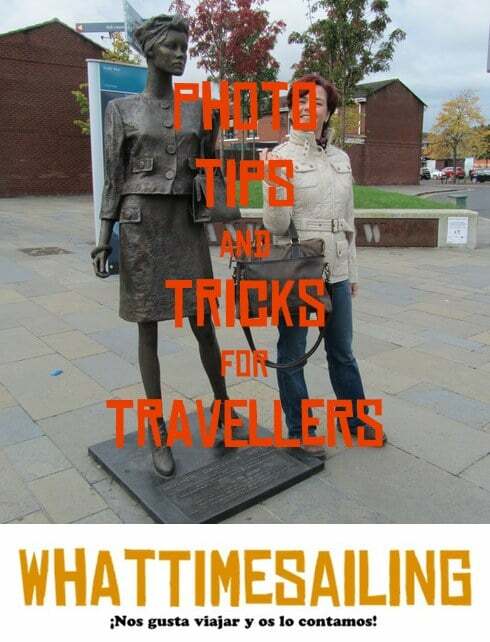 If you are a traveler, these travel photo tricks that we have found will be fine. When you travel, you will take sooo many photos that will be a torture for friends and family if you want to show them what you see, visit and enjoy. It is curious, in our case.? Our first trips everybody wants to watch all photos or videos that we taped, in the last one no question about them. They know that if we don?t make a previous selection they will see thousands of images.? Some of them repeat 4 or 5 times looking for better angle or light. In this video, you will learn tips to surprise and obtain better results. Made a business card or a piece of paper with your name and address and made a photo.? So if you lost your camera, some body can contact you. Made your camera and lenses look older, robbers don?t like old items. Take a sport camera and through to the air in order to get “rare” angles..
Wake up early to get nice sunrise photos and the monuments alone. Always ask before shooting a photo a person. Take a polaroid to give away images. Don?t forget to tied your camera for not laying to ground..
Take a tripod to make several photos and can delete other tourist. Make 3 copies: Computer, external hard drive and send a copy to home by mail. And the last and better for me, enjoy your holidays. 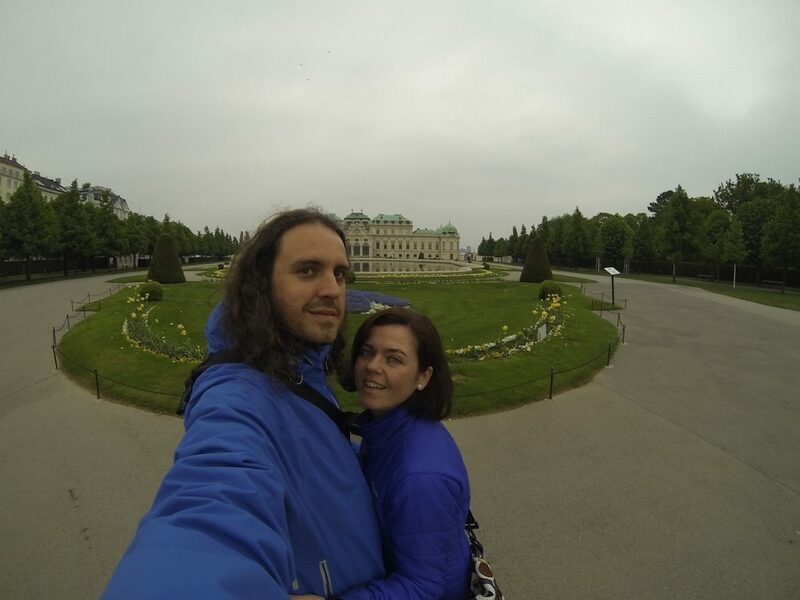 Next photo we made with a Gopro, We tried that Beldevere?s Palace, the gardens and ourselves were in the photo.? We are looking a fish eye effect with the Gopro, if you want to do this with a DLSR you have to to spend your money in a new lense. Remove your bag logo if it is a famous brand, you are crying to thieves that you have a good camera and lenses. Your bag can be a good tripod. Be careful when you change your lenses. In a windy places dust can go inside your camera. With respect and a smile you can take amazing photos of locals.? Don?t forget to us for an email to send a copy. Shoot a photo of your accommodation (hotel, apartament, etc..).? It can be useful if you are lost and don?t remember the address. Buy a pair of batteries. Don?t travel with a big memory card, two or three small ones are more interesting.? If one is broken or lost, your photos will remain in the other. If you rent a car, look for the name of the street or square where you have parked and make a photo. Los a?ado los dos, as? est? la entrada m?s completa. Muchas gracias por el aporte. Yo lo he hecho alguna vez y para que salga mejor debes ponerle la opci?n de que haga 10 fotos, as? tienes para elegir. Buenos consejos, pero lo mejor lo de hacer la foto del hotel, y a?ado que si vas en coche, la hagas tambi?n del nombre de la calle o plaza donde lo dejes!!! Lo a?ado a la entrada. Muy buenos consejos….lo del folio nunca se me hab?a ocurrido ??? ?